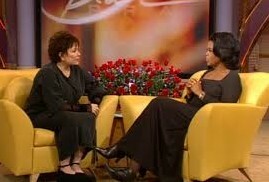 I remember in 1998 when Roseanne announced on “The Oprah Winfrey Show” that she was going to do a daily syndicated talk show to air during the daytime hours. Oprah looked at her with a wry little smile on her face and then told Roseanne that doing a talk show sounds easy in theory, but come January and February, she would see how hard it is to try to think up bright and exciting show topics to air in the dead of Winter. 14 years later, Oprah’s words of wisdom are speaking to me here at Acorns On Glen. You see, blogging is a great way to document your life and let people read about the interesting things you do in it, until you feel that you have become the saddest person in the world and there is not one thing that you do in the dead of Winter that would interest somebody. During Spring, Summer and Fall, there was almost never a week/weekend that went by where I didn’t do four or five things that I thought would make an interesting post. I was always cooking a new recipe, there was always news from my garden, nature was in full swing and doing things worthy of writing about and I was traveling to here and there and able to share my finds in the places that I had visited. All that comes to a crashing halt when the dead of Winter takes over. I mean, I have become the most boring person who has ever written a blog this last month and I don’t see much improvement going into February. I mean, take a look at the possible titles I could have written about for events happening with or to me over this past weekend. Would you want to read stories like these? I swear to God that each of these titles could have a story behind them in minutes, but I don’t think there would be too many hits. There is a direct correlation – the colder it gets, the sadder my life becomes. I’m thinking March will be my turning point. I will begin to go out into the world more and do interesting things once again. Until then, if you see Oprah, can you tell her to call me with some ideas she used for topics during January and February? I really need them. This entry was posted in Life and tagged Acorns, Blog, Entertainment, Fun, Humor, Life, Lifestyle, My Life, Thoughts, Winter. Bookmark the permalink. ← Friday Dance Party – Fun. We Are Young Featuring Janelle Monáe. I’m on pins and needles what did you eat? I feel so sad that you are in such bad spirits but Martko1964 I had several good laughs reading it. Glad to hear that I made you laugh. Hi susannye. Welcome to Acorns On Glen. I might have to write that one up. Funny what teens will do when you offer them a few bucks. Hope you come back and visit soon.